As we enjoy the long beautiful days that follow the Summer Solstice, many of us find ourselves immersed in the many activities that the season’s weather offers. We are out swimming in lakes and streams and oceans, playing on the sandy beaches, tending to bountiful gardens, trekking through forests, playing baseball and soccer, soaking up the rays or finding refuge in the shade. It is a time when many of us spend as much time as we can celebrating the fresh air and staying as active as possible. There can be a real sense around us that we should “seize the day” and enjoy it while we can because the colder months are just around Autumn’s horizon. So for many people, this can be a particularly challenging season to carve out the time for meditation practice. 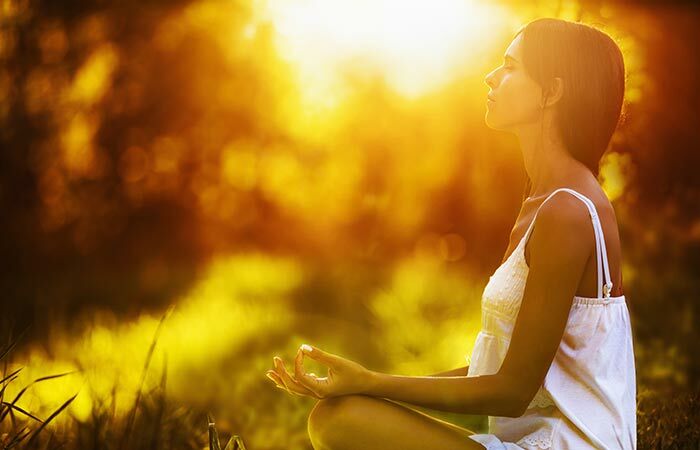 Partly because schedules tend to be in flux and routines are more uneven, there is a common refrain among many– even very disciplined practitioners–that meditation is easily neglected when so many outdoor activities are beckoning. However, many teachers would say this should be all the more reason to stay committed to meditation practice: To stay balanced, to work through the distractions and cultivate a sense of grounded focus. We might think of it as an opportunity to remain steadfast in our commitment to ourselves despite the temptation that may arise to be ceaselessly active. We can bear in mind that meditation can be something we commit to not just when it’s convenient or when there is less to do, but something that has qualities of sustainability and continuity. But no matter what the various challenges of balancing a practice with an active Summer experience are, it is also an excellent time to think about ways to use mindfulness off the cushion. Though we traditionally think of the practice as sitting, meditation has dimensions and applications in many different activities. Sakyong Mipham Rinpoche, a Tibetan Lama and the spiritual leader of the Shambhala program of meditation centers, wrote Running With The Mind of Meditation, a book many think of as a seminal text on balancing the spiritual life with physical activity. In it, Mipham illustrates that there can be a wonderful integration of physical movement with our contemplative practice. He emphasizes that one does not substitute for the other—we wouldn’t call our meditation practice our “exercise”—but that they complement each other in ways that are subtle and not easily recognized. The book also provides a beautiful discussion of how a meditative state of mind can be cultivated while engaging in the activity of running. But maybe running is not your thing. Another fantastic and more universally available activity to consider is walking meditation. The practice has a number of variations, but basically the theme is similar no matter what style is used. Begin by centering yourself, feeling the weight of your body on your feet and the air going in and out of your lungs. Pause and stand for a minute. Then very slowly take one step, keeping your attention on the feeling of lifting your leg, your foot rising and then resting again on the earth. Slowly shift your weight onto the other foot and take another step. And continue like this. As you notice your mind wandering and getting distracted, gently come back to the object of the practice: I am here now, walking, this is what I am doing. It might be helpful to set a timer for 5 or 10 minutes so you can fully immerse yourself in the activity and not think about how long it will continue. This walking meditation can then also be used while hiking or walking anywhere—the practice of staying mindfully aware of the activity in the moment is the key here. And like any activity that incorporates mindfulness, it is something we can develop more skillfulness at as we continue to engage in it. Of course, many other activities lend themselves to being mindful as well. We can bring this principle of cultivating full attention to the sensations of the experience, to being really present with what we are doing in the moment to just about any activity that we enjoy. So even if we find ourselves not spending as much time on the cushion, we can maintain our commitment to mindfulness, to inhabiting our experiences with as present a mind as we can offer. May 27th 2016, written by Gabriel Woodhouse for bodono.